I've been wanting to have a go at turning some plates for ages, so when I recently got hold of a Birch log that was suitably big, I thought that it was about time to give it a try. I'm really pleased with the result, but the process made me think that it's probably about time I got myself a chainsaw. I've been putting this off for some time as I find them to be noisy, smelly and quite frankly, scary, but it would save me a lot of time preparing the wood for mounting on the lathe and would also allow me to be more wood efficient, especially, I think, with preparing plates. I've been using these plates for all of my meals now and I'm definitely converted. There's something special about eating off of wood and you don't get the clanking and scraping noises that you get with regular plates. This first batch are going to be keepers, but i hope to have some for sale soon. 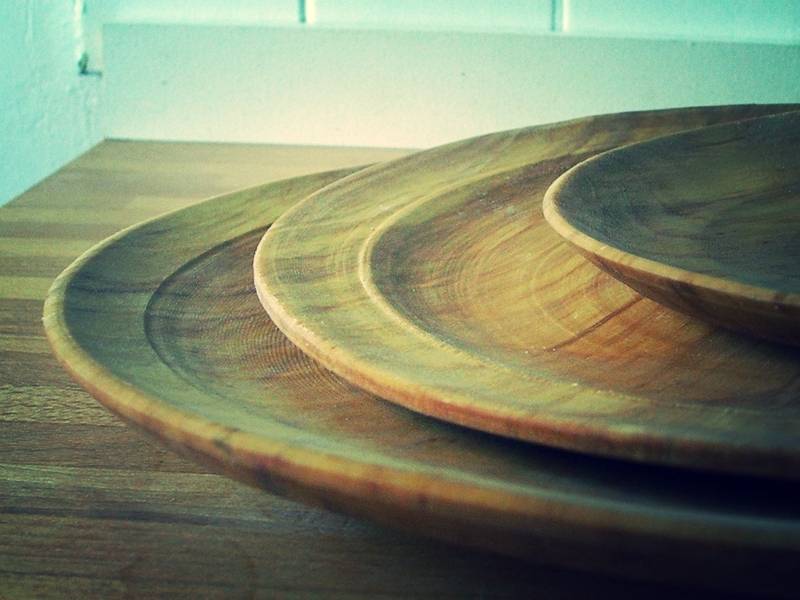 You can buy wooden plates from Owen Thomas and Robin Wood if they have them in stock.